If you manage a Facebook Page for your business, you’ve probably noticed that your content isn’t reaching as many people as it was a few months ago. The good news is that this may not be because you’re doing anything wrong. The less good news is that, at the tail end of 2013, Facebook announced some big changes to the way that it decides which content appears in users’ News Feeds. Unlike Twitter, which provides an unfiltered stream of updates from everyone you follow, Facebook uses an algorithm to determine whose content you see when you log in. Instead of showing you absolutely everything that everyone posts (which would amount to an information overload of 1,500+ stories), Facebook prioritises the activity of the people you have engaged with most often and most recently. Unfortunately for brands, this means your Page content is much less likely to be displayed to the people who have ‘Liked’ your Page. As you can see from the graph below, paid for Ads significantly increase the total reach of Page content. This decline in organic reach of Page content is nothing new. Data gathered by Moz over the last three years has shown that organic reach for Pages has been gradually decreasing throughout this period, simply because more brands have established a Facebook presence and competition for visibility is much higher. Over the last couple of months however, many Page owners have been reporting a noticeable, dramatic drop in organic reach. One example is viral content site Upworthy which relies almost exclusively on social media shares to drive traffic. In Nov 2013, Upworthy recorded almost 90 million website visits. In Dec 13, this dropped to 67 million and in Jan 14 declined further to 48 million. That’s a 46% decline in traffic in just two months. It seems likely that this – at least in part – is down to Facebook’s algorithm changes which, as well as suppressing non-Paid for page content, also targeted meme-style content in favour of links from high quality sites. By contrast, Pages such as Buzzfeed who invest a significant amount in Facebook Ads haven’t seen anywhere near such a dramatic drop-off. It would appear then, that the only way to counteract this and ensure your content gets seen is to show Facebook the money. Since Facebook Ads launched, the platform has been continually tweaking its offering – displaying adverts more prominently in News Feeds and making targeting options more sophisticated. In the act of increasing the visibility of adverts, it was inevitable that Facebook would begin prioritise Pages owned by the businesses that are helping it make a profit. Does this mean you should abandon your Facebook efforts? Definitely not. 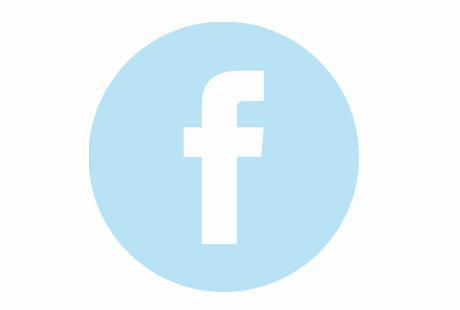 Having a Facebook presence remains essential for business. It’s a way to show your brand personality, reach engaged customers, gather useful feedback and provide efficient customer service. Allocating just a small amount to Facebook Advertising – if Ads are managed efficiently and correctly targeted – can provide a huge benefit to your Facebook page. Here are a couple of examples where Leapfrogg has used Facebook Ads to increase the reach of clients’ content, following significant decline in organic reach and the resultant effect on website traffic. This graph shows that for Client A (B2C) traffic from Facebook started to dip in July 2013, corresponding to a drop in organic reach of Page content. In Oct 2013 we launched on-going Facebook Ads which supported an autumn/winter competition, Christmas sale and New Year product launch. After just two months, traffic to the site from Facebook was up almost 300%. This graph shows how Client B (B2B) had been struggling to drive any traffic to the site from Facebook. In Nov 13, we began to add regular content to the Facebook page but still were failing to drive website visits. In Dec 13 we launched Facebook Ads targeting small business owners in major UK cities which drove a whopping 3750% more traffic to the site in Dec 13 and a further 42% increase in Jan 14. In both cases, we set up Facebook Ads to deliver a specific call to action – such as customer discounts, encouraging competition entries, online sales and new product launches and optimised them to drive traffic to the client’s site. The future of Facebook for business owners and marketers seems to be as a paid platform. Facebook is rightly placing users at the heart of their optimisation efforts but, in doing so, is also profiting from brands who want Facebook’s huge, active and engaged community to see their content. Success on Facebook now combines the effort of creating and sharing awesome content that appeals to your audience with a bit of click budget.